Tropical Storm Danny which was previously a category 1 Hurricane is still continuing to cause some disruption in the Eastern Caribbean. Danny is getting closer to many important cruise ship ports in the eastern Caribbean. The National Hurricane Center has posted that the storm has maximum sustained winds of 50 MPH and is moving west at 15 MPH. The Tropical Storm is currently located about 350 miles east of Antigua. Even though Danny has been downgraded to a Tropical Storm it still poses a great threat with heavy rainfall and strong winds. There are Tropical Storm warning in place for Antigua, Barbuda, Montserrat, St Kitts, Nevis and Anguilla. Norwegian Getaway which is operated by Norwegian Cruise Line has changed scheduled calls in St Thomas and Tortola with Cozumel and Ocho Rios in the western Caribbean. The ships call to Nassau, Bahamas has not been altered. Freedom of the Seas which is operated by Royal Caribbean will switch to a western Caribbean cruise. Originally scheduled calls at St. Thomas and St. Maarten have been replaced with Montego Bay, Jamaica, Georgetown, Grand Cayman, and Cozumel, Mexico. Oasis of the Seas operated by Royal Caribbean will not be able to call to the Eastern Caribbean ports of call as originally scheduled. Instead, the ship will sail to Costa Maya and Cozumel, Mexico, in an effort to try to find sunny skies and the calmest seas possible. Adventure of the Seas operated by Royal Caribbean will not call on St. Johns, Antigua, Castries, St. Lucia and Bridgetown, Barbados starting from this weekend. Carnival Glory which is operated by Carnival Cruise Line has switched to a western Caribbean cruise instead including calls at Grand Cayman, Mahogany Bay in Roatan, Belize and Cozumel. The ship departed Miami, Florida on August 22nd. 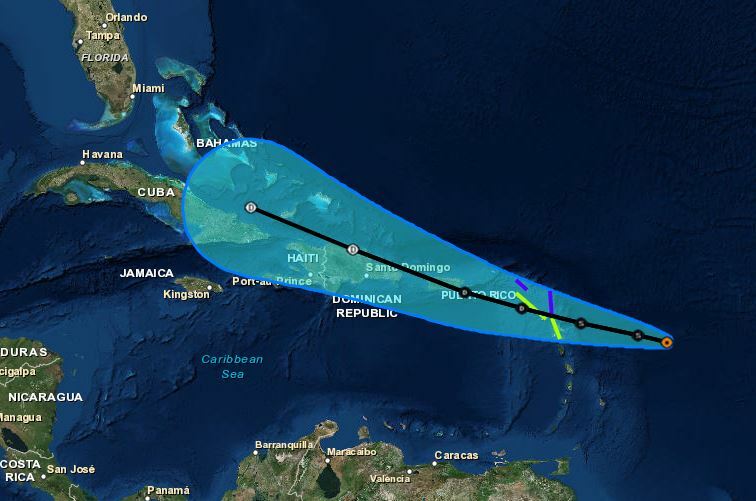 Cruise Hive will keep readers updated on the latest developments affecting cruise ships as Tropical Storm Danny continues to hit the Caribbean. You can also read our first post on the storm right here.